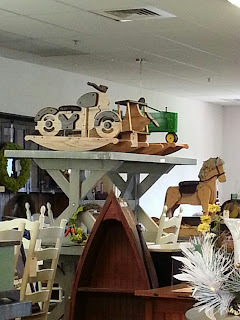 The Amish Market is one of my favorite places to shop and visit. When it opened, I realized it would probably be a weekly stop, just like the grocery store. Displayed above are a few of the hand-hewn toys that are for sale. The furniture is of exceptional quality. What I like best about the market is that I can shop for food items but I can also have a glimpse of other specialty items. 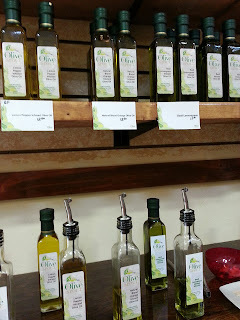 For instance the Olive Spout has helped increase the flavors in everything I cook from meats to produce. 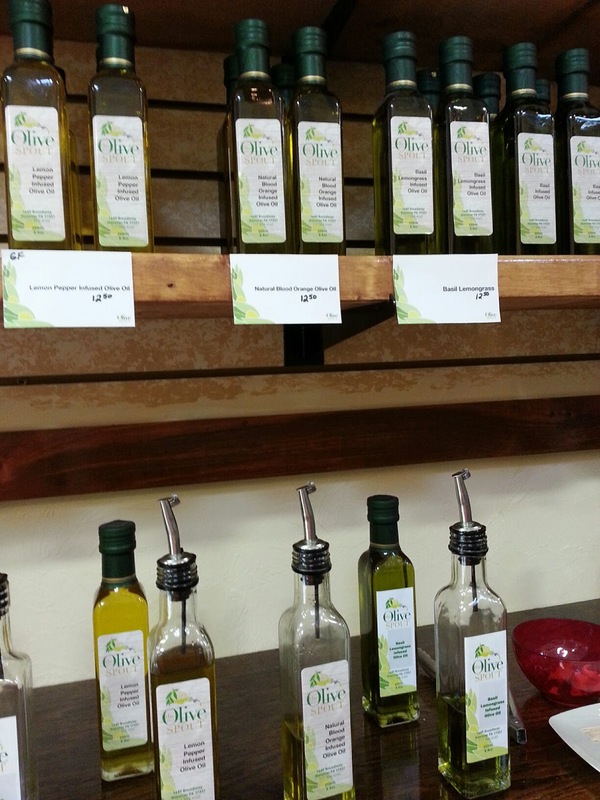 There I can sample flavored vinegars like peach vinegar that I use for salads, or flavored olive oils like blood orange which is especially tasty with fish. Seasonings such as orange pepper and garlic pepper are also available. Since Lancaster County is a hop, skip and jump away, I have set my new series--Daisy's Tea Garden Mysteries--there. I do research in Lancaster County but the Amish Market can give me the flavor I want when I need it for my cozies. The baked goods counter is lush. My favorite is peanut butter cream filled donuts. My husband likes the apple fritters. But anyone with a sweet tooth can find the perfect treat at the bakery. Nearby is the homemade candy counter. Oh my. Did I mention there is also a restaurant? This is an omelet breakfast sandwich, made to order. At the restaurant before Christmas, I was so happy to see a senior angel tree. From local strawberries in June to peaches and tomatoes later in summer, to chocolates and donuts and beautiful furniture, this market is one of my favorite places to visit as well as shop. Taking in the aromas, the sites, and the products is wonderful for my creative senses. And anything that helps my writing I embrace whole-heartedly.